Modern Sleek and Stylish The Halo is set apart by (and named for) the circle of light that surrounds the recessed pin pad and illuminates it with a constantly changing spectrum of colors. The modern and elegant design of the NH-2700CE Series is like no other ATM machine. It is a powerful blend of technology and design. The NH-2700CE will enhance even the most upscale locations. The NH-2700CE features a new dynamic user interface, a heavy load of high-security features, and extensive advertising and graphics support making this one of the most advanced ATM machines on the market. Designed for retail and off-premise locations, the NH2700 comes loaded with all the features you expect, and also provides additional hardware configuration choices allowing you to custom fit each machine to the needs of your customer or location. Awesome machine, we had no problems at all. We ordered the Halo 2 for our Bar and everything went smoothly, delivered on time as promised, the installation was simple we couldn’t be happier. I have to say we have had three different AMT machines placed in our stores and have never been as happy as we are now. We finally replaced them with the Halo 2. Purchase the ATM of your choice simply by messaging our sales team using the form below or complete the lease application online. One of our sales representatives will contact you shortly after completing the lease application. Lease from as low as $69/mo. Leasing a new ATM for your business has never been easier. Start increasing your sales today, why wait? The high-gloss version also features a metal keypad. The Halo is also notable for its a larger 10-inch screen and optional high gloss finish. You may design this portion of your business to make as much as you wish. You may wish to have the ATM just for a convenience to your customers. You may wish to have the ATM as a profit center for the store. 6 out of 10 Americans use cash machines twice each week. The average transaction is $60.00. Bank cash machines average 6,400 transactions per month. The surcharge on the bank machine can be set from $1.00 to $5.00 or whatever the market will bear. Every time a client accesses their bank or credit card using your machine, a fee is payable directly to you. We are a full service provider of ATM services and solutions to financial institutions and retail establishments. We currently deliver the most advanced hardware, software, and communications technologies to customers throughout the U.S. and Canada. Our services include: ATM Sales and leasing, ATM vault cash for cash stocking your ATM, ATM Maintenance, ATM Monitoring & Dispatch, and ATM Equipment Leasing. What about repair and maintenance? Your machine may require minor repair periodically. 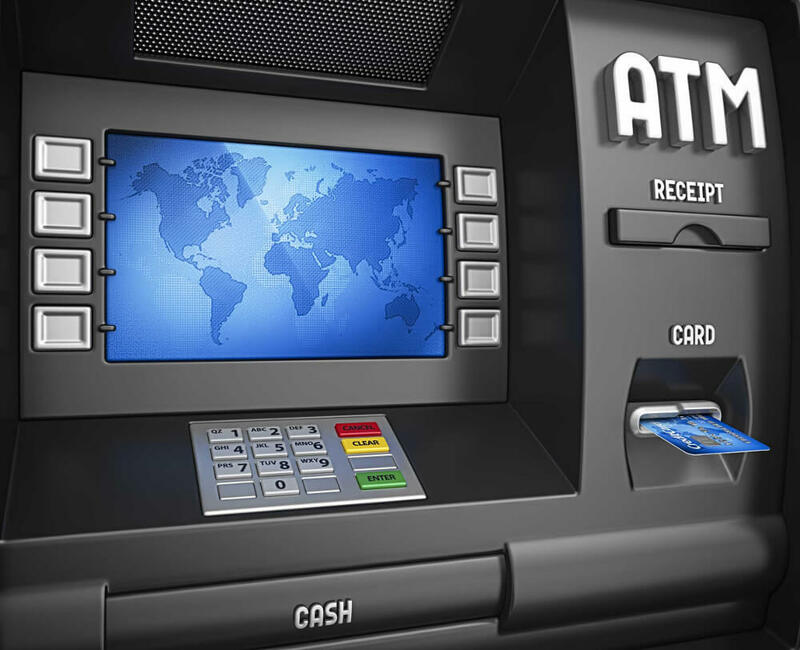 ATM manufacturers spend millions of Dollars designing the equipment so it is reliable and user friendly. The units rarely malfunction, but if a unit does need servicing, repairs may be done within minutes by contacting our toll free help desk at 1 888 407 3662. A portion of the processing fee can be used to cover all parts and labor costs for the term of the Processing Agreement. As you know, cash will always be king. With the increasing costs for businesses to take debit and credit cards, many businesses are looking for an alternative to taking plastic. Rather than paying someone a percent of your sales, why not make money and have cash spent in your business? First National ATM will assist you in reducing your credit card expenses and increasing cash spent in your location. 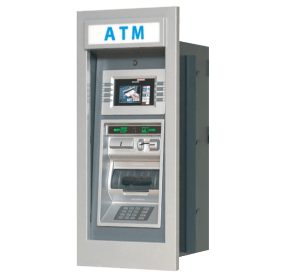 We offer ATM machines, ATM Processing, ATM Sales, ATM Placement Services, or you can even buy an ATM as an ATM Distributor. ATM Processing is offered FREE to merchants throughout the USA and Canada. ATM Sales are at our wholesale prices. 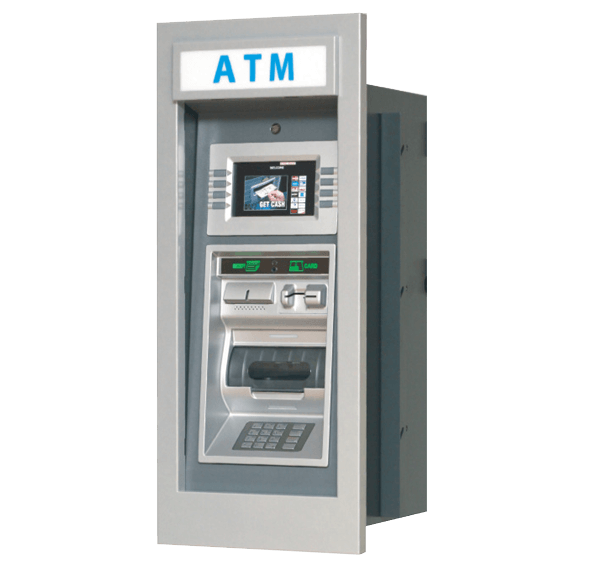 ATM Placement Services are available for any high traffic location. Having an ATM machine in your business not only will save you the money you spend on credit card processing, but you also make money off of having an ATM machine in your business! When you purchase or lease a Wholesale ATM From First National ATM, you get to select your surcharge amount. Every time a customer uses your ATM machine, you keep 100% of all the surcharge revenue profits. Your customers can make withdrawals on your ATM by using a debit card or a credit card, and can also check their balances on the ATM. You get to select what denomination you use in your ATM. Wholesale ATM’s From First National ATM are also a draw into your business. If someone walks by your business, they may come in just to use your ATM machine. When the customer takes money out of your ATM machine, the cash retention rate is 35-40%. That means that someone using your ATM machine will spend 35-40% of the money they just took out of the ATM machine and spend it inside your business. You’re bringing in new customers to your business all thanks to your ATM machine! With a Wholesale ATM From First National ATM. If you’re having any problems with your ATM machine, we have a 24/7 technical support line to help you with any ATM related problems. Worried about time management? It only takes about 3 minutes from start to finish to stock an ATM machine with cash. ATM machines require very little time. In total, about 10 minutes a month would be necessary to be spent on your ATM machine. You can make thousands of dollars a month with only 10 minutes of work by having an ATM machine! We also offer signage for your ATM machine to bring more people into your business to use your ATM. We handle all the processing of your ATM machine, FREE OF CHARGE! That’s right, there is NO fee’s associated with having an ATM machine inside your business. You simply purchase or lease the ATM, and collect the monthly surcharge revenue profits off of the ATM machine. We have customers making thousands of dollars a month by having an ATM machine, and that doesn’t even include the new cash spending inside their business. Even with debit and credit cards, cash will always be king. With the increasing costs for businesses to take debit and credit cards, many businesses are looking for an alternative to taking plastic. Rather than paying someone a percent of your sales, why not make money and have cash being spent in your business Wholesale Atm From First National Atm. Having an ATM machine in your business not only will save you the money you spend on credit card processing, but you also make money off of having an ATM machine in your business! Wholesale ATM From First National ATM. When you purchase or lease an ATM machine from Wholesale ATM, you get to select your surcharge amount. Every time a customer uses your ATM machine, you keep 100% of all the surcharge revenue profits. Your customers can make withdrawals on your ATM by using a debit card or a credit card, and can also check their balances on the ATM. You get to select what denomination you use in your ATM. Wholesale ATM From First National ATM. First ATM machines are also a draw into your business. Wholesale ATM From First National ATM. Wholesale ATM From First National ATM. If someone walks by your business, they may come in just to use your ATM machine. When the customer takes money out of your ATM machine, the cash retention rate is 35-40%. That means that someone using your ATM machine will spend 35-40% of the money they just took out of the ATM machine and spend it inside your business. You’re bringing in new customers to your business all thanks to your ATM machine! Also, by having an ATM machine inside your business, you’re eliminating the risk of having credit card charge-backs. Rather than accepting checks, and running the risk of them bouncing, you can have your customers use your ATM machine. This way, you don’t lose the customer and gain cash without the risk! Here at First National ATM, we have absolutely no hidden fees. Therefore, you’re making 100% of all the surcharge revenue profit off of having an ATM machine, and you also get the benefits of the extra cash spending! 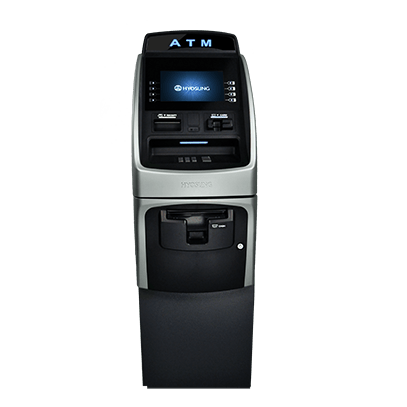 ATM machines are very easy to work, and we set you up with a technician to train you on how to work all aspects of the ATM Wholesale Atm From First National Atm. If you’re having any problems with your ATM machine, we have a 24/7 technical support line to help you with any ATM related problems. Worried about time management? It only takes about 3 minutes from start to finish to stock an ATM machine with cash. ATM machines require very little time. In total, about 10 minutes a month would be necessary to be spent on your ATM machine. You can make thousands of dollars a month with only 10 minutes of work by having an ATM machine! We also offer signage for your ATM machine to bring more people into your business to use your ATM. We handle all the processing of your ATM machine, FREE OF CHARGE! That’s right, there is NO fee’s associated with having an ATM machine inside your business. You simply purchase or lease the ATM, and collect the monthly surcharge revenue profits off of the ATM machine. We have customers making thousands of dollars a month by having an ATM machine, Wholesale ATM From First National ATM. First and that doesn’t even include the new cash spending inside their business. Wholesale ATM From First National ATM. Wholesale ATM From First National ATM. ATM Services – Can your business profit from owning an ATM machine, aka automated teller machines? If you’re reading this article, then the answer is probably yes, but before we get ahead of ourselves, you need to ask yourself a few questions regarding the actual ATM location you plan on placing your new ATM machine. 1. Do you have customers asking for the location of the nearest ATM? 2. Do you have at least 100 people a day visiting your location? If you answered yes to both of these ATM-related questions. Then I’m about to show you why you need to buy an ATM machine and how you’re going to make a great profit with little or no effort. * The key to being successful in the ATM business is to find ATM placement locations that will make you money. ATM sales are based on traffic count, so let’s figure out how many people will use your new ATM machine on a daily basis. The formula I am about to show you is the same formula that is used by every ATM dealer and ATM distributor in the country when placing ATM machines. Trust me when I tell you this formula is tried and true. ATM service dealers and ATM distributors look at one thing when deciding whether or not to place an ATM machine at a particular location. The rule of thumb goes like this. 3% – 5% of the foot traffic that actually sees the ATM machine will use the ATM. So let’s figure that you have a total of 300 people a day coming through your doors, and let’s say that you are charging a $2.25 surcharge per valid withdrawal. If you take the middle road that 4% of the people that see the ATM machine will use it. Then you can count on your new automated teller machine to generate you a minimum of 360 transactions per month at $2.25 per valid withdrawal. That comes out to $810 per month or a total of $9,720 per year. All that from one ATM machine at one location. * The next question is how much will your new ATM machine cost. This question is a little harder to answer simply because there are so many ATM machines to choose from. 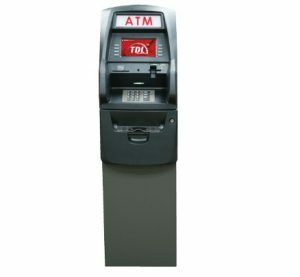 Such as Class 1 Armored ATM machines, Indoor ATM machines like the Hyosung Halo, Genmega ATM, Triton 9100 ATM – Tranax 1500 ATM, Tranax 1700, Through-The-Wall ATM machines, Cashless Scrip ATM, etc. But one thing I can tell you is that 75% of the ATM machines used in non-bank locations are non-armored ATM machines. 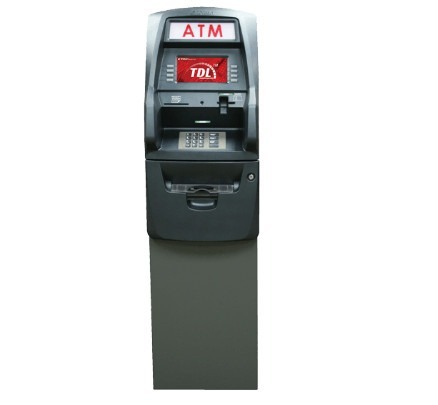 A good non-armored ATM machine is the Triton 9100 ATM machine. The Triton 9100 ATM or the Tranax 1700 can be purchased from either an ATM services dealer or an ATM distributor servicing your area. The price for the Tranax 1700 should range between $1,750 and $2.250 depending on what options you choose. So there you have it, if you have customers that are currently asking you for the closest ATM, or if you have a large amount of foot traffic coming in or walking by your location on a daily basis. Then you will most definitely profit from owning an ATM machine. Profit Share ATM Services – Solution for your ATM needs? Profit Share ATM services are a fairly new concept within the ATM business. The Profit Share ATM option seems to be best suited for store or property owner that wants to take advantages of owning their own ATM while minimizing their risk by splitting the costs and liabilities with a top-notch knowledgeable ATM distributor or ATM dealer. 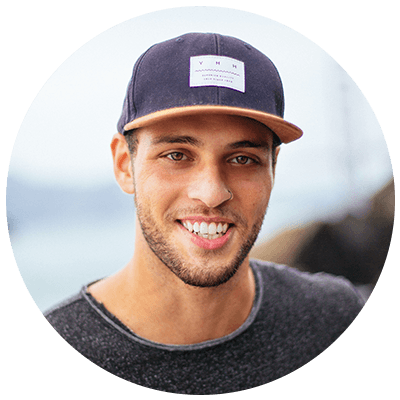 By doing a Profit Share ATM with a reputable ATM distributor, you will most likely avoid the many little mistakes most people make when learning how to operate a profitable ATM machine on their own for the very first time. Profit Share ATM deals are usually designed where the ATM distributor (like First National ATM.com) and the property owner split all costs right down the middle on everything from the ATM machine itself to installation, receipt paper rolls, ATM maintenance costs, etc. While in return, the store or property owner is only responsible for paying half of all hard costs and keeping the ATM machine filled with their own cash at all times, and that’s it. In return, all profits are split 50 – 50. That is why getting into a Profit Share ATM is a good idea for the property owner that wants to minimize their risk, and have the opportunity to learn more about the ATM business from a reputable ATM distributor. For more than two decades, GENMEGA ATM has been making self-service technology that works. It’s this commitment to excellence that’s made GENMEGA a popular option when it comes to ATM machines. If you’re considering setting up an ATM or adding to your existing network of ATM’s, you have to ask yourself a couple of questions. What is it that makes ATM machines profitable? What can cut down those profits? What can you offer that will make people pass up some other ATM to choose your GENMEGA ATM machines? One of the reasons people use ATM machines at all is convenience. Every single thing you can do to add to that convenience increases the potential that your ATM will be profitable. That means that you may very well need to check out GENMEGA ATM machines to see what innovations make these even more convenient. Maybe you’re not even looking for a network of ATMs, but are looking for a way to make your existing business more profitable. Think an ATM can’t help? One of the innovations that emerged from GENMEGA ATM is the combination ATM and ticketing kiosk. Just consider the problem some people face in movie theaters. It’s not until they arrive that they realize that they don’t have enough cash for movie tickets. 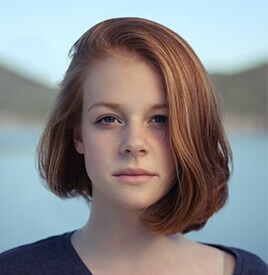 They may very well scramble around to find an ATM machine, or they may simply go to a video store that will accept their credit or debit card and take their evening’s entertainment home – unless you can make it easy to overcome this problem. With a combination ATM and ticketing kiosk from GENMEGA, you can. What can be easier than using the ATM machine to pay for the desired tickets AND get enough cash for popcorn and a soft drink? This is just one of the many options you’ll get with Genmega ATM machines. You’ll find Genmega ATM machines that offer coin exchange and check cashing capabilities as well as bill payment kiosks and bill payment kiosk- all designed to help you provide a wider array of services for your customers. And everyone knows that the additional services translate to higher profit margins. But just as is true with any technology, the needs don’t start and stop with the ATM machine, even if it is at the top of the game. You have to find several ways to attract customers. Genmega ATM machines are built to be located in a variety of situations, including “through the wall” models. You’ll also find an array of signs, stickers and other accessories to help you attract those necessary customers, and even a surge protector to help protect your investment from an electrical surge that could put your ATM out of commission – resulting in lost profits for you and a loss of confidence from your customers. GENMEGA is headquartered in California. The company touts the installation of more than 60,000 ATM machines of various capabilities. If you’ve been thinking about the possibilities of an ATM machine, or just hoping to add to your current ATM network, take a look at what Genmega has to offer. Need an ATM Cabinet, or an ATM enclosure, or an ATM kiosk? ATM First National ATM has a huge selection for the most popular ATM’s on the market. To see more, go to our ATM Cabinet page. 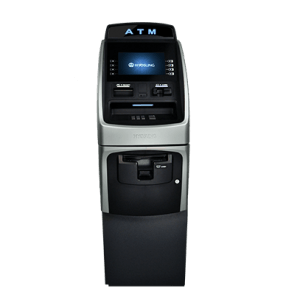 ow to Buy or Lease ATM Triton Traverse ATM ATM | ATM Processing | ATM Sales | ATM Placement | Wholesale ATM From First National ATM. First National ATM Put an ATM in Your Store and Help Increase Sales and Revenue. 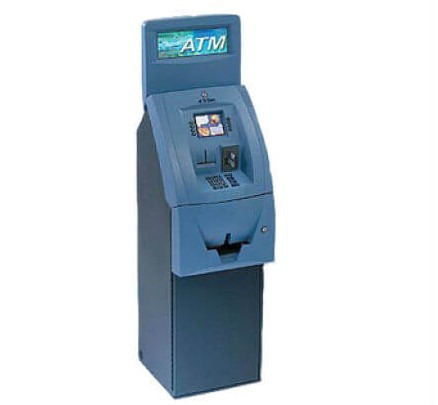 How to Buy or Lease ATM Wholesale ATM Free ATM Placement, The ATM Business, Triton ATM, Hyosung ATM, WRG ATM Machine for sale, ATM processing, Buy ATM Machine, BUY a new ATM from First national ATM today and receive the lowest ATM pricing available. 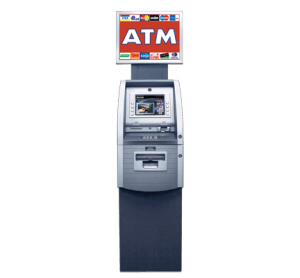 Free ATM Placement Programs – What’s best for you? 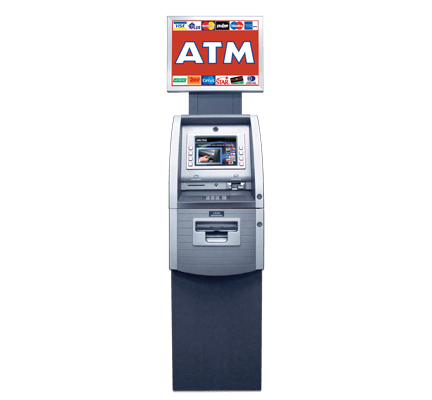 Free ATM placement services have been around for as long as the ATM business itself. 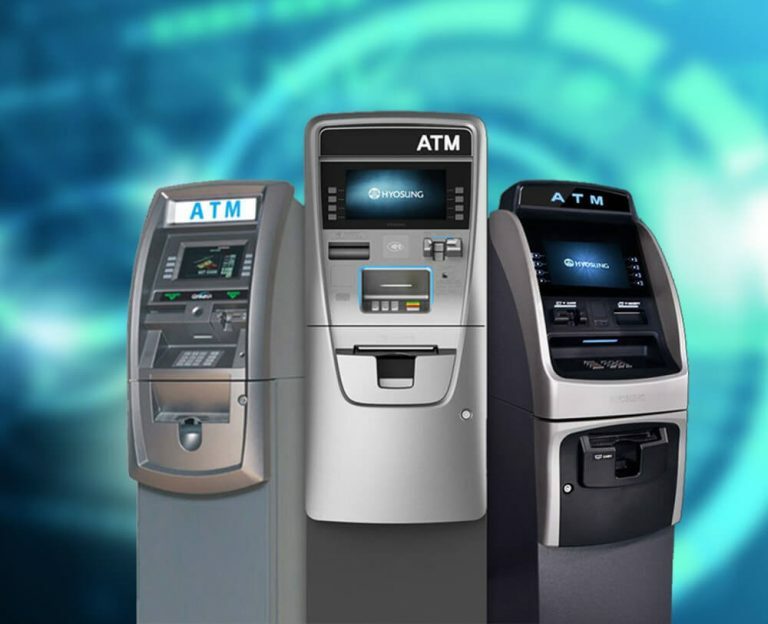 Free ATM placements services are designed for high traffic locations that need a high volume, full-service ATM machine without any of the headaches of owning one. In most cases, a high traffic location is offered a free turnkey ATM placement service at no charge. In return, the ATM distributor will provide the location with a percentage of the ATM surcharge revenue from each valid cash withdrawal from the ATM. The ATM distributor will be responsible for everything revolving around the ATM machine. They will pay for the ATM, ship the ATM, set up ATM processing and install the ATM, load cash into the ATM and then maintain the ATM for the life of the ATM placement. The location owner does absolutely nothing but cashes the checks when they arrive in the mail from the ATM distributor. Free ATM placements are, in my mind, much better for the ATM Distributor than the location owner. If you think about it, if you have a great location, you will be making just a small portion of the money your ATM will earn, and it’s your store! For example, if your store had just three ATM users per day, that’s about 100 transactions per month. If you owned the ATM and had a $3.00 surcharge, you would earn about $300 bucks a month. If a Distributor places an ATM in your store and gives you $0.50 per transaction, you would only make $50 per month while the ATM Owner would walk away with $250! The ATM Owner will always make most of the money. It just stands to reason that if you own the store, you should also own the ATM. That way, whatever you charge you keep. Are you thinking about buying or leasing an ATM machine to place in your business or as an additional source of income? Before you make your decision, weigh the pros and cons of both leasing and buying. You might find that leasing is a better option for the particular needs of your business. What kind of things do you need to consider? First of all, do you have the cash to purchase it outright? If so, do it. It will save you finance charges typically added on by the lease company. Is there any kind of warranty? Should you purchase an extended warranty plan? Who will coordinate the repairs? If you buy, you may be responsible for all future repairs. There is generally a warranty period on the ATM, but don’t take those things for granted. Make sure you understand your agreement before you buy. At First National, we handle all repairs from the moment of a problem. Remember, since we do not charge any processing fee, we only make money when your ATM is running! The same goes for leasing: make sure you understand the lease agreement before you sign off on it. Generally speaking, you will receive the same repair assistance if you lease the equipment or purchase it outright, but read your contract closely. Are there charges for late lease payments? You may need to use an automatic deduction from your checking account to be sure it is always paid on time. Look at the total price before you get infatuated with the low monthly price of a lease agreement. Look at these examples. If you can buy an ATM machine outright for $2000, don’t be taken in by a $150 a month lease for 60 months. That would end up costing you an additional $7,000 more than it would have cost you if you would have bought the ATM outright. So, while $150 a month certainly sounds nicer than $2000, the lease will cost more in the long run. Not all ATM leases are the same, though, so you should evaluate your options carefully. Talk to your accountant to see which would be a better deduction for your business. Do you need a monthly payment to claim as a business expense for your taxes next year? How much of the monthly lease payment can you deduct? Can you deduct more if you buy it outright? Your accountant can tell you if it is more beneficial for you to buy or lease an ATM machine and will also be able to outline a few more pros and cons related to ATM’s as business expenses. Take a little time to investigate your options before you choose to either buy or lease an ATM machine. Making an educated decision now will mean you will likely be more satisfied with your choice months down the road. Don’t let a sales rep rush you into a decision. Remember, it’s his or her job to sell. Insist on taking your time, asking questions, reading information and talking with other customers about their experiences with the company from which you are considering either leasing an ATM or buying your ATM outright. ATM Sales – Buying ATM Machines. What should you expect? Good customer service – before AND after the sale – brings about repeat customers and referrals. And remember, a customer is a powerful person. If the customer has one bad experience, you can believe he or she will tell any and everyone who will listen about it. If you are trying to build a good business; bad experiences will kill it faster than anything else ever could. Stay on top of customer service. It begins before the sale. If you call, write or email about your interest in an ATM distribution program, make sure the company follows up as quickly as possible. If you ask questions, they should be answered. If they don’t know the correct answer, they should say so. There is nothing wrong with not knowing everything. As a matter of fact, you will probably trust the company more if they answer a question with an honest “I don’t know, but let me find out and get back with you by the end of the day.” If they give you a time limit, make sure they honor it. But if they can’t find the answer you need by the mentioned deadline, call back to inquire and make sure all your questions are answered. Just be honest, and you will get your business relationship with the ATM company off to a great start. Now that you have chosen an ATM company and bought your ATM product or services, the work does not stop. You must still work to keep your ATM customers satisfied, even if your company is small and you have to deal with a lot of other business issues. Keep in touch with the ATM company. When it comes right down to it, they are the people you have to communicate with. They sold you the product. Usually, you can call a service representative personally if you ever have any trouble with customer service or repair departments for your ATM machine. Let them know that while you don’t anticipate any problems, you’ll be in touch if you do run into any such as in the case you need ATM parts and or an ATM sign. With that said, make sure the ATM company you choose follows up on your concerns and gets back to you in a timely manner. If you’ve been trying to reach someone from tech support but can’t seem to get through a busy switchboard, make sure someone takes your phone number and ask someone from tech support to give you a call. Even if it takes tech support a while to solve your problem, you will be impressed if you get results from them. This is how business relationships are built. If you want to build your business, service both before and after the sale is of utmost importance. Don’t slack on either aspect. A satisfied customer is a long-term customer. When a satisfied customer tells other people about his or her great experience with you and your company, it’s better than any type of advertising you could ever invest in. How much should it really cost for ATM processing? In a perfect world, it would cost nothing. However, ATM machines cost money. Without the charge for ATM processing, there would be no way to reimburse the people who are out the costs. And no one wants to be out the costs without some kind of return for it. However, you should try to find an equal price so that people will continue to use your machine and you will begin or continue to make a profit for your machine. When you decide to go into business or make some extra money with ATM processing, you should first decide if you want to own or rent. You should then consider any additional costs for owning and maintaining your own ATM machine. This should include any costs for periodic maintenance, time spent on the machine, and any costs that you will need to pay to any outside parties. The costs of owning and maintaining an ATM machine will vary from owner to owner. You just take into account the costs that you may incur. After you figure out how much cost you will incur on a regular basis, you should decide on a possible scenario for how much your machine will be used. The first step in doing this is surveying the traffic around your machine. There is one thing to consider when you are choosing a location to put your ATM machine. One thing to make sure is that people will realize that your ATM machine is there. No one can use a machine that they don’t know exists. Make sure you place the ATM in a highly visible area near the front of the location. Never put an ATM in the back of a location even if you have great ATM signs. If you are putting your ATM machine, such as a Genmega ATM, in a place that has a lot of traffic, especially foot traffic, the likelihood of people using your machine increases. Also, if there is a reason why people in the area around your machine would need extra money, the transactions are likely to increase. All of these factors are important because when more people use your machines, you can afford to charge them less. After you figure out what reasonable pricing with the competition seems to be, see if you can meet or beat it. However, you still have to keep the charge high enough to make a profit. But if you charge less and more people come, you still have the potential to make more. This is the whole point of competitive pricing. When you are pricing your transaction fees, you should compare your fee to the competition’s, especially if any other machines are in a close proximity. No one will use your machine if they are charged more at yours than at the one around the corner. However, even if yours is the only machine for miles and miles, you shouldn’t charge way more than other machines. People will then use your machine only in emergencies in that case. The main point that you should remember when pricing your ATM machine’s processing transaction, is to charge enough to cover your routine costs and make a profit without going above the competition’s pricing. If you can’t do this, don’t buy one. One of the first things you should realize before you dole out the cash to get an ATM business off the ground is that simply having the ATM machine isn’t going to do you a bit of good. The person who has a dozen ATM machines in the garage is no more in the ATM business than the person with no ATM machines at all. So what does it take to get an ATM business started? The three most important rules of real estate apply to the ATM business opportunity. It’s all about location, location, and (of course) location. If you have poor positioning for your ATMs, you’ll probably not do much better than if you had them in your garage. * So the first step is not only to find the machines but to decide what you’re going to do with them once you have them. Some ATM manufacturing companies offer help finding locations, and some ATM franchise companies offer help finding the machines. Which way you start is merely a point of personal preference. * If you choose a franchise, keep in mind that there are likely to be some franchise rules you’ll be expected to follow. The extent of these rules will depend on the franchise because there is no typical franchise contract. Each franchise parent company sets rules for themselves, and those decisions are up to the franchiser as long as they don’t violate any rules governing the use of ATM machines. * Franchises do often offer one major benefit in the form of support. A franchise parent company may very well be able to train you in the management of your ATM business, down to bookkeeping and maintenance of machines. * The reliability of your ATM machines will depend largely on your manufacturer – some are simply at the top of the game in this sector while others aren’t. We highly recommend Genmega ATM, Hyosung ATM, and Triton ATM. You may find that the cheapest source of ATM machines isn’t the best source. Here’s why reliability is such an important factor in your effort to start an ATM business. * If a consumer is headed to an ATM machine, it’s probably because he or she needs cash. It may be for an impulse purchase or for an emergency car repair – but the fact remains that the person is looking for money. If your ATM machine isn’t working on that particular day (or worse, malfunctions mid-transaction), that person will probably be able to go to another ATM machine to get the cash they need. You’ve lost the profit from that particular transaction. But worse, you’ve probably lost future transactions because that person is going to remember your ATM as the one that didn’t work, and won’t even bother to stop there next time. After choosing the manufacturer and locations for your ATM business, you’ve still got some hurdles to clear. You’ll have to set up a routine of servicing machines (whether you do it yourself or hire it to be done). You need to have a regular maintenance program in place, and to have a plan for when problems occur. Setting up an ATM business isn’t a process that’s going to be completed and off the ground in an hour or two, but just take a look at the number of successful ATM businesses in existence. This is an endeavor that’s likely to be well worth your time, effort and financial investment. The words “cashless” and “ATM machines” simply don’t seem to belong in the same sentence. After all, what service could a cashless ATM possibly offer? Actually, cashless scrip ATM machines are becoming more widely accepted, and offer one of the most important things to the merchant – the potential for higher earnings. Take a look at the concept, how it works and how you can put it to work for you. In reality, the concept has nothing to do with not spending or receiving money, but with spending money without using cash or writing a check. Instead, the customer simply swipes a card and the transaction is completed. While it’s fairly common already to have credit and debit card terminals set up at checkout stands, one point to keep in mind is that these transactions come with a price. Typically, the merchant pays a set fee for each transaction. So what if you could eliminate the transaction fee? What would it be worth to you? Before you answer, stop to consider how much that fee is currently costing you. If it’s a flat fee of fifty cents per transaction, for example, would it be worth fifty cents if that fee didn’t apply? And what if you could then use that transaction fee – in whatever amount you choose – to encourage the shopper to return? This is one of the benefits of cashless scrip ATM machines. So are these ATM points free? Actually, the customer pays a convenience fee, just as they would if they used a traditional ATM machine. So where’s the advantage? When people are shopping, they’re typically not worrying about a dollar (or even two or three) that they’ll be charged for using an ATM machine. The same is typically true of the transactions on cashless scrip ATM machines. In marketing, “soft benefits” is the term given to some benefit of shopping in a particular place. If you, as the merchant, can offer your transaction fee back to the customer, it might be just the slight incentive needed to encourage that customer to make a return visit. Even though the actual cash amount isn’t likely to be significant, you’re building goodwill – a feeling that will likely remain with the customer long past the moment when the last bit of wrapping paper is being crammed into the trash. * Other benefits of cashless scrip ATM machines are evident in the environment. The customer will typically receive two receipts for the transaction, but other paper receipts are eliminated. The result is less need for paper and less paper to throw in the trash – both good ideas for the environment. Finally, you can point out the ultimate convenience of this type of transaction. Checkouts are faster because your customers aren’t standing in line writing checks. Approval is almost instant and there’s no need to make a change. If you, as a merchant, are able to offer the very cutting edge of technology as a means to convenient shopping, your customers are going to remember you. Have you been thinking about the potential income possibilities of ATM machines and thinking you’d like to get in on that action? Do you immediately follow that thought with the recognition that you can’t possibly afford to buy those machines outright? Take a look at HYOSUNG ATM machines, and then look at the company’s affordable lease-purchase options. You may find that you’re closer to being ready to start a lucrative ATM business than you thought. You can choose from the very basic HYOSUNG ATM machines to the Hyosung 5000 with multi-media capabilities. This particular machine can meet the demands of today’s complicated transactions. For example, the 5000 can serve as a very basic ATM, completing cash transactions with a minimum of bother. But you may be missing out on a very important customer base by not offering check cashing. The 5000 can take care of those customers who need to cash specific kinds of checks as well. The wide-screen monitor can be used for advertising – another potential source of income. Or you can offer up short entertainment clips to play as your customers wait for their transactions to be completed. Think that’s pretty incredible? Your customers will too, especially when they find out they can purchase various tickets and even pay for travel arrangements, all through this one handy location. If you think service of your ATM machine is important, you’re right. Hyosung recognizes both that service is sometimes required and that you may prefer your own service technician over Hyosung service providers. If that’s the case, you can quickly order and track parts through the company’s website. Just choose the parts you need and place your order. If you wonder where the part is, when it was mailed or when it’s due to arrive at you, just go back to the website and check the status of the part. It’s all designed to help your business be as profitable as possible. If you’re looking to increase your ATM network overseas, Hyosung may very well have the answers you’re looking for. Take a minute to consider that Hyosung ATM machines are currently located in some thirty-eight countries, according to information from Hyosung. Security is always an issue and Hyosung ATM machines have been at the cutting edge of technology for many years with security-minded machines. After creating the technology designed to deter would-be robbers, Hyosung moved right on to offer the first dial-up ATM available to the general public. These ATM machines are also very compact so that they’ll fit in the smallest imaginable space, all aimed at what the company calls “low cost, high reliability” technology. When you consider Hyosung ‘s commitment to developing new ideas, you can probably imagine yourself as part of this winning team. View some of our other popular ATM models below.